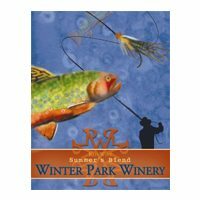 The Winter Park Winery brings in over 20 tons of grapes and produces several wines. You can purchase these wines directly from the tasting room, at local restaurants and liquor stores. The tasting room will offer wine by the glass, bottle and case. There is roughly enough seating for twenty folks, so get there early to ensure your group a table.Small winery producing 1000 cases of wine. Visit our quaint mountain tasting room near Winter Park. Two miles N. of Winter Park on the west side of Hwy. 40 in downtown Fraser.